2D Tune’s new album is mixed with a lot of unique tunes. This new album takes you on an energetic yet chill ride that is worth listening to. It features over 70 minutes of interesting songs. There’s a meaning in 2D Tune that is far opposite from the term “2D”. If you want to put it this way, his approach to his tunes is to take on a 3D measure or better. 2D Tune just stands for “Das Drew Tune”. 2D Tune is a one man show who loves messing around with all styles of music. His love for music has helped him get motivated in creating moving, and energetic tunes. He draws his inspiration from artists such as Tiesto, Chemical Brothers, Daft Punk, Plump DJ’s, Moby, and many more. Be on a look out for his next CD that will be delivered very soon. Radioindy Review for 2D Tune's has been added to Myspace Music! 2D Tune Press Release on Digg.com! Radioindy Review for 2D Tune has been added to Myspace Music! FANS - Please checkout 2D Tune MySpace page here and sample / purchase some great new music! "2D Tune" Reviewed by RadioIndy.com! Attention all electronica fans! Get yourselves ready for 70 minutes of pulsating trance music with the self titled CD “2D Tune” by 2D Tune. From the opening synth chords and raging drum beats of “Arise,” any fan of this genre knows they are in for a treat. The mixture of pulse, electronic, and chill music makes for some interesting themes. It is also great to hear various vocal cuts splayed throughout different tracks, as heard on “Pain Reliever.” There is also a very mysterious setting going on in “King of Kings,” but don’t be afraid to listen to that one alone in the dark. 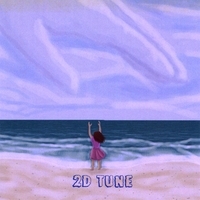 “2D Tune” is a very well written record and can be enjoyed by music lovers who would not normally buy a trance CD.